How many of us made a New Years Resolution to drink more water in the hopes to loose weight, or cut out soda, or just for the pure fact that water is good for us? For some people, me included, it can be hard to drink water constantly since it really has no taste. I tried to drink Mio and other brands of water flavoring, but I found that most had a bad aftertaste and most has just as many bad chemicals in them as the diet coke that I am trying to cut out! 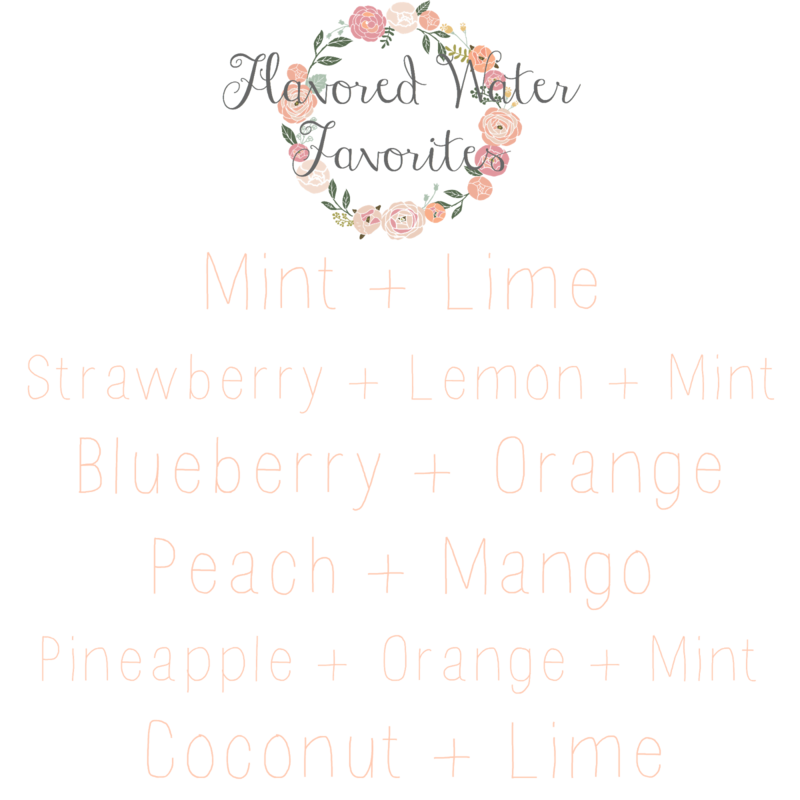 So, to help with your resolution to drink water, I am sharing 6 of my favorite natural flavored water combinations. I like to freeze my fruits that I put into my water. It makes the water colder and I find that the taste lasts longer if the fruit is frozen. You can purchase fruit already cut and frozen, or you can buy fresh fruit and cut and freeze yourself. For the mint leaves, I purchased a mint plant at my grocery store and I keep it in the kitchen for easy access to mint! For days that I am on the go, I purchased a water bottle from Marshall's that has an infuser inside to place the fruit and mint in. Make sure you look for a bottle that is BPA free or glass. Here are some other great bottle options. Make sure that you wash your fruits very well, wether or not they are organic, they can still have yucky coatings on them that you do not want to ingest. I use The Honest Company Fruit and Veggie Wash to wash all of my produce. It is wonderful and truly has no taste. If you want to join The Honest Company head here.